A research team at the US Department of Energy's (DOE's) Oak Ridge National Laboratory has now discovered a way to create functional materials from the impure waste sugars produced in the biorefining processes. 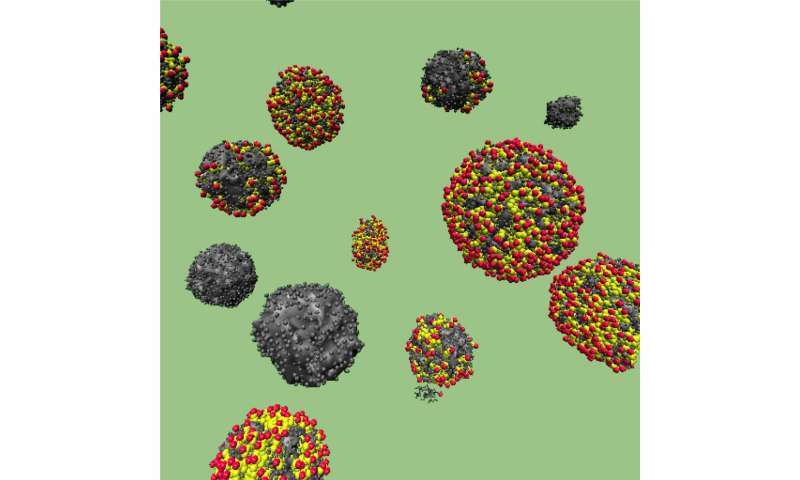 Using hydrothermal carbonization, a synthesis technique that converts biomass into carbon under high temperature and pressure conditions, the team transformed waste sugar into spherical carbon materials. These carbon spheres could be used to form improved supercapacitors, which are energy storage devices that help power technologies including smartphones, hybrid vehicles, and security alarm systems. The team's results are published in Scientific Reports, a Nature research journal. "The significant finding is that we found a way to take sugar from plants and other organic matter and use it to make different structures," said Amit Naskar, a senior researcher in ORNL's Materials Science and Technology Division. "Knowing the physics behind how those structures form can help us improve components of energy storage." "Just by substituting water for this other liquid, we can control the shape of the carbon, which could have huge implications for supercapacitor performance," said Hoi Chun Ho, a Ph.D. candidate working with Naskar at the Bredesen Center for Interdisciplinary Research and Graduate Education, a joint venture of ORNL and the University of Tennessee, Knoxville. The team also discovered that altering the duration of synthesis directly affected the size and shape of the spheres. "We wanted to determine what kind of surface area is good for energy storage applications, and we learned that the hollow spheres are more suitable," said ORNL researcher Monojoy Goswami of CNMS and the Computer Science and Engineering Division. "Without these simulations and resources, we wouldn't have been able to reach this fundamental understanding." "Batteries often support smartphones and other electronic devices alone, but supercapacitors can be useful for many high-power applications," Ho said. "For example, if a vehicle is driving up a steep hill with many passengers, the extra strain may cause the supercapacitor to kick in." "Carbon can serve many useful purposes in addition to improving supercapacitors," Ho said. "There is more work to be done to fully understand the structural evolution of carbon materials." "Our goal is to use waste energy for green applications," Goswami said. "That's good for the environment, for the biorefinery industry, and for commerce."